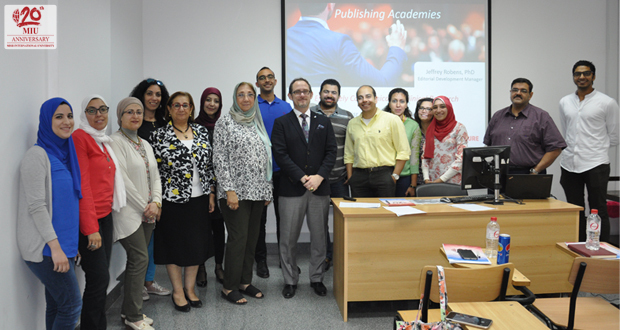 The Staff Development Committee of the Faculty of Oral and Dental Medicine in collaboration with the Egyptian Knowledge Bank organized a workshop on Wednesday May 10, 2017. 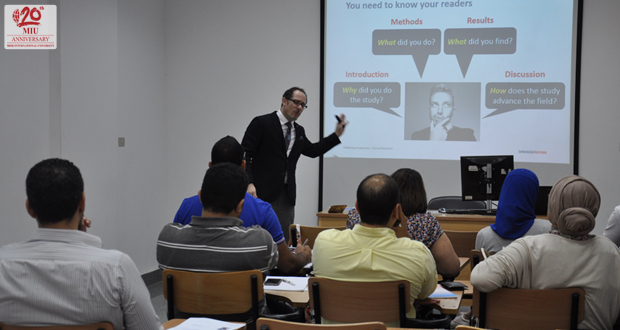 The workshop was conducted by Dr. Jeffrey Robens. A Total of 20 staff members and teaching assistants attended the workshop. The focus of the workshop was how to evaluate clinical research articles, making the best first impression for your readers by using the most appropriate titles and abstracts, as well as sharing your patient’s story with the clinical community when writing case reports. Fifteen attendees evaluated the course as excellent, 3 attendees evaluated it as very good while 2 attendees evaluated it as good. The recommendations were to repeat the workshop allowing other attendees to gain benefit and provide practical sessions.